Value My Car – Sell Your Vehicle Today! Your car’s value depends on factors like make, model, year, mileage and condition. Call us on 0800224000 to get an online estimate what’s your car is worth? You’ve decided to sell your car and you wonder “Where to value my car?” Maybe you want to compare the market value to the trade-in value of the car. Or you may be thinking about refinancing your auto loan and are worried you might owe more than the car is worth. There are many reasons why you might need to know how much your car is worth. Fortunately, there are also many options available to help you estimate your car’s value. 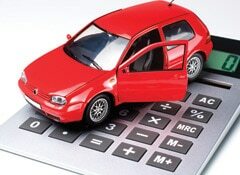 Thinking about refinancing, selling or trading in your car? First, find out what it’s worth. Cash for Car NZ provide your current car value — and pay you instant cash for your vehicle up to $12000. Which you can use for the deposit of a new car or save. For a quick figure, try Cash for Car NZ vehicle value estimator, We are having more than a decade of experience in buying cars and provide your real market value for your motor vehicle. It’s easy to get a valuation for your car — just answer a few simple questions — and get a free no-obligation approximate value. Once you’ve provided all the required vehicle information, you will get a free no-obligation best valuation for your cars, vans, 4wds, suvs, trucks & commercial vehicles.